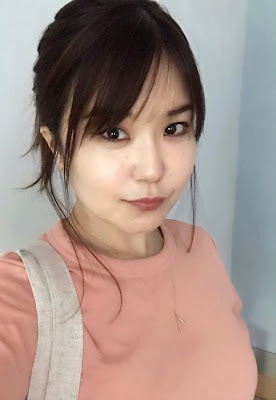 What is it like acting as Marie's interpreter on Tidying Up with Marie Kondo? To be honest I wasn’t even sure how much I would appear on screen, so I approached it as any other interpretation work. But once we started filming, it was so much more complex than I had anticipated. There were so many people moving around and talking at once! Thankfully, we had an incredible crew who steered us and made the whole show come together. Had you worked with Marie Kondo prior to the show? I’ve worked as Marie’s interpreter on a freelance basis for about three years now. She first asked me to interpret for her presentation at Japan Society in New York City. I love working with confident, courageous women, and Marie is definitely someone with a clear sense of self. Have you incorporated her tidying up methods and philosophy into your personal life? During filming, I would fold dozens of clothes with Marie so I became quite adept at it. I find her folding technique efficient and practical. I tend to tidy without much thought so her philosophy is a little trickier to incorporate. But it’s a beautiful reminder to slow down and appreciate the things and people in your life. Her philosophy is rooted in Japanese culture and custom, but it touches on an innate, universal desire — to feel safe and comfortable in our homes — so it’s no wonder that it has resonated with a global audience. What is the best thing about working on a television show? It’s not so often you get to walk into a family’s home, rummage through their belongings, and learn about their history, anxieties, and hopes. The whole experience really opened my eyes and helped me feel closer to people. As a fellow Japanese woman, I was also proud of Marie for hosting her own Netflix show abroad so it was wonderful to be a part of her new opportunity. Anything that has surprised you about working on the show? I never expected so many viewers to be interested in the interpreter’s role. It made me appreciate the innovative ways this show uses sound, editing, and subtitles to incorporate interpretation. I hope that this show can pave the way for more multicultural perspectives to be represented on streaming TV regardless of a language barrier. What have you been your favorite translation projects? 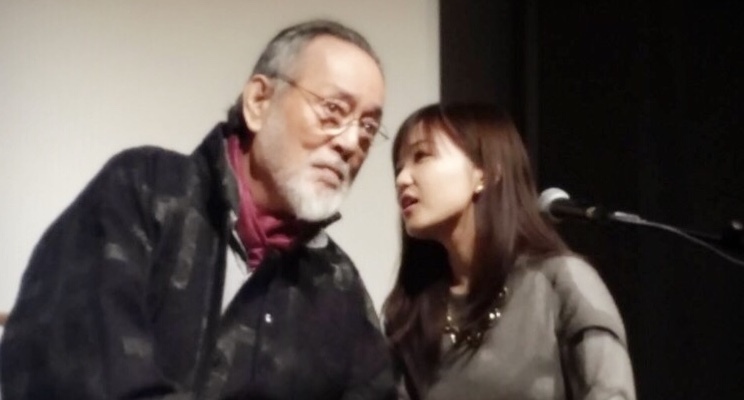 I will always remember interpreting for the legendary Japanese film and theater actor, Tatsuya Nakadai, in New York. He is known for his iconic and versatile performances in films by director Akira Kurosawa, Mikio Naruse, Masaki Kobayashi, and Hiroshi Teshigahara among many others. Japanese directors and actors who have lived through the war and the postwar years—not to mention its effect on Japan’s film industry—can shed invaluable light on not only our past but also our future. Tatsuya Nakadai’s wish for peace carries the weight of history, and it was a privilege interpreting his words. You also write short stories. What is the inspiration for your stories? I think my short stories are my way of processing what I see and what’s going on in the world. I wrote Mr. Yunioshi, a reimagining of the infamous neighbor in the film, Breakfast at Tiffany’s, because I felt it was about time that he gets to tell his own story. I also felt that Truman Capote had very different ideas about the character when he wrote the original novella. I wanted to portray Yunioshi as someone with agency and a voice and free him from the skewed Japanese stereotype with which he has always been associated. What advice do you have for students or alumni who are interested in a career as a translator? Different skills are required depending on the field of interpretation or translation you want to work in, so it’s important to find mentors who are willing to share their experiences with you. Present yourself as a professional no matter how small the job and be honest with yourself about the mistakes you’ve made—keep a log of phrases and words you’ve missed along with solutions. And read widely and deeply to expand your vocabulary. I’m currently co-translating a three-volume crime thriller from Japanese to English with an amazing literary translator and editor, Allison Markin Powell. It will be published by Soho Press next year. A new non-fiction book I translated for Rizzoli, called Live Small/Live Modern: The Best of Beams at Home, which also happens to be about how Japanese people create tidy and unique living spaces, will be published later this year. I have other interpretation jobs too, but this year I’m hoping to focus on my own writing, which incidentally sparks a lot of joy for me. 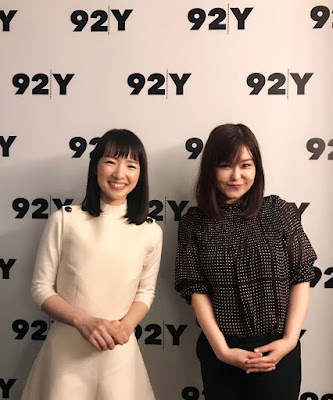 Tidying Up with Marie Kondo is streaming on Netflix. Read more of Marie's short stories here: http://marieiida.com.